If you remember Global NCAP had published safety ratings about cars that are made in India and sold in the Indian market. Datsun Go was one of them and it had scored Zero star rating in the ODB54 crash test. Now the brand today launched the same old car with a 1.0-liter engine. We welcome Datsun Redi Go 1.0 with a question on safety!! What is Datsun Redi-Go 1.0? The car is same Datsun Redi-Go but with a bigger engine, 1.0-liter engine. It’s the same engine that goes in Renault Kwid 1.0 Liter. A peak power of 67 bhp with peak torque of 91 Nm comes from this 3 pot petrol engine. 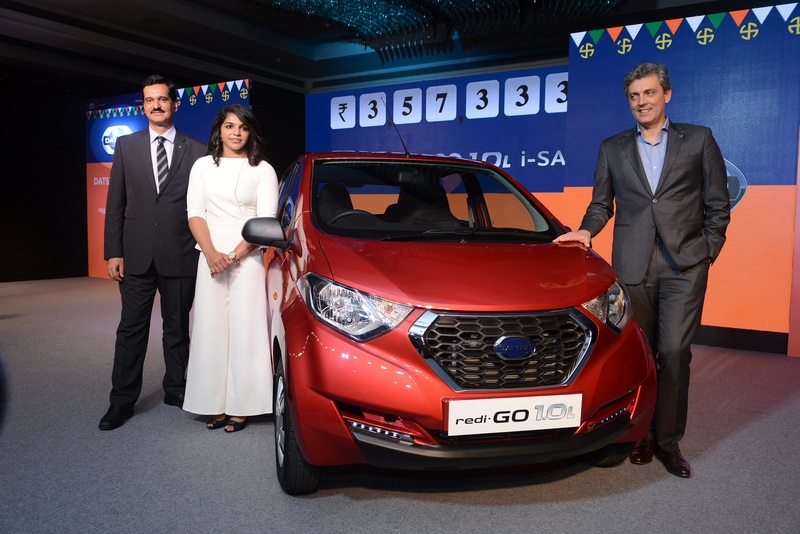 Available in India from today, new Datsun Redi-Go 1.0 will retail at Rs. 3,57,333 INR in all Nissan dealerships across India. How can we differentiate the new Model from old model? The front bumper of the Redi-Go has now gotten a black garnish at the bottom and the boot now gets a 1.0-liter badge to differentiate it from the normal model. Datsun Redi-Go and Renault Kwid are based on same platform, CMF-A. Common Modular Family for A segment cars. Both of them are based on same underpinnings as well as same engines. Even the new 1.0-liter variant in both cars have the same power and torque figures. This also means the engine mountings and other safety measures taken in the frame as exactly the same. Renault Kwid has performed poorly in the same 64kmph crash test with the setup of ODB64. Watch the video here. If Kwid performs only 1-star rating, we are interested to know the Datsun Redi Go crash test performance. We have asked to a spokesperson from Nissan regarding same, and with our experience from other manufacturers usually, OEMs avoid to reply such emails. Let’s hope we get a reply from Datsun/Nissan India and we will be happy to share that with you, the readers. If we don’t get a reply, you know the safety of the car and soon you will find results from another GNCAP crash test video.